Sheet masks are one of skin care’s hottest categories. Nowadays, consumers can purchase masks at pharmacies, through online and mass retailers, and even have them delivered through subscription services. Instagram is replete with sheet-mask selfies. Bel Mondo Beauty’s premium-grade sheet masks are tailored for professional use. They are infused with rich concentrations of clinical ingredients and feature advanced fabrics made from bio cellulose fibers. Estheticians love the safety profile of our bio cellulose masks and trust them in their treatment rooms, using them as add-ons to enhance outcomes for a range of aesthetic services. Bio cellulose fabrics do not feel or perform like ordinary sheet masks. They are moist and cool to the touch and can be handled and repositioned without risk of tearing. Most importantly, they function as an excellent occlusive. They fit tightly to skin and stay locked on throughout application, permitting ingredients to transfer and penetrate very efficiently. 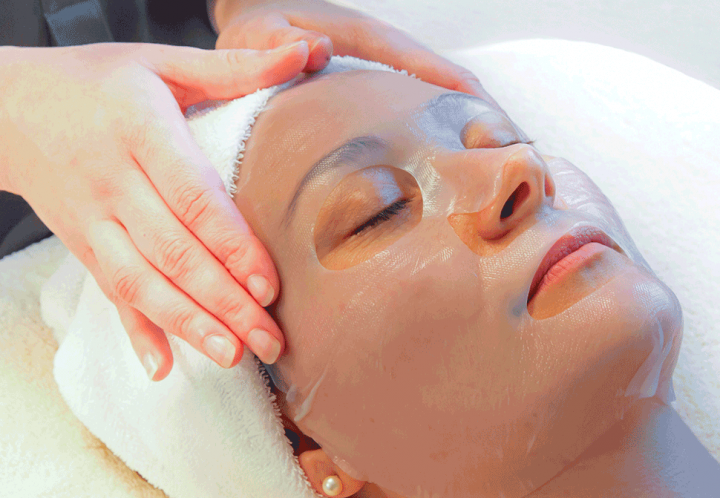 One of the basic ways to incorporate Bel Mondo’s product line is as part of a custom facial. Following cleansing and exfoliating, our Anti-Aging mask can be applied for its moisturizing benefits and to plump the skin (via multiple peptides), so that complexions are supple and appear renewed. Clients love the experience! Our Ultra-Hydrating Mask, for example, is a great prep aid; it nourishes and conditions skin deeply, so that the results achieved from fractional laser, pulsed light, and similar procedures are optimal. Of course, many resurfacing procedures produce effects like redness, inflammation, and peeling. Bel Mondo’s Calming Mask features advanced compounds like Skinasensyl and Caresoft, along with proven humectants and emollients. It instantly soothes and alleviates skin irritation, and is a must following microdermabrasion, micro needling, and aggressive services. Uneven skin tone and dark spots are common concerns. (Hyperpigmentation can occur after microdermabrasion, laser treatments, and other services.) Our Brightening Mask is a great companion to treatments that address these skin flaws. It contains proven lightening ingredients Niacinamide, Alpha Arbutin, Ascorbic Acid, and a special compound called Dermawhite to improve tone. Our Fresh Eyes treatment is a popular, easy add-on. That’s because it feels incredibly soothing while delivering multiple benefits: alleviating puffiness, firming skin, and restoring moisture. Fresh Eyes has one of the strongest ingredient stories of any eye mask treatment on the market, boasting a formula that includes four peptides, along with hyaluronic acid, tocopherol, and olive oil. Bel Mondo’s Rejuvenating Decolletage treatment targets the thin skin of the upper chest, an area that is often neglected. It thoroughly hydrates this delicate zone and transfers nourishing ingredients — niacinamide, sodium ascorbyl phosphate, alpha arbutin, mandelic acid, and algae extract – to help smooth texture and brighten tone. If you are skin care professional and have never experienced sheet masks made from bio cellulose, register with Bel Mondo today and request to receive samples. Subscribing to Bel Mondo Beauty’s email list offers you special promotions, early product releases, and helpful skin care information.